Maintenance of garage door is a very important skill as it prolongs its lifespan. Apart from prolonging its life, original shape is also maintained. Maintaining an overhead garage door reduces chances of accidents. It also helps to save on the replacement costs for the worn out parts. 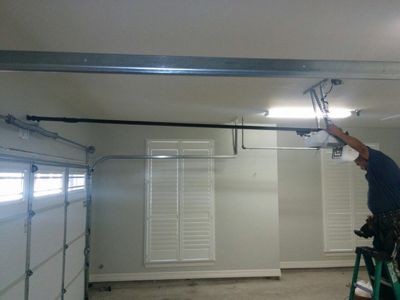 There are various ways that can be used while maintaining a garage door. Observation is a very important etiquette during maintenance. Daily observation helps you to discover malfunctioning parts before they develop to complicated problems. You should inspect all movable parts such as rollers, cables, openers and hinges among others. Observation also helps you to determine when to ask for a professional contractor. Garage doors are usually subjected to friction due to constant movement. Lubricant maintenance helps to reduce friction. If possible, regular application should be done so as to ensure that friction is reduced and hence prolonging the lifespan of the movable parts. Replacement of the worn out parts should be done as soon as they are discovered. This is to ensure that accidents are prevented that can result to loss of lives and limbs. Replacement of movable parts and lubricant maintenance increases the efficiency of electric garage door, and hence helps in saving the energy. A garage DIY kit is very important in any given project. It enables you to take care of minor issues and do not have to seek technical support. However, it is important for you to seek qualified and licensed technician to ensure that major problems are handled properly. When maintaining an electronic door, you should disconnect the cables such that you can move the door manually. This is very important as it enable you to establish the malfunctioning hinges or rollers. This should be done once in a while, say after every week. It is also important to seek professional maintenance occasionally. There are many garage door maintenance contractors in Dix Hills where you can seek technical support. Professional installation preserves the original shape for a long time and keeps valid manufacturer's warranty. Now that you are armed with this information, it is possible for you to ensure that your garage doors are in good shape at all times.